Radiography today is one of the most affordable and effective ways to diagnose many pathologies of the internal organs. Sometimes there are situations when it is necessary to specify the diagnosis and to choose treatment of a newborn child, and the only accurate method is an x-ray. How to safely conduct x-rays of the baby, and what the consequences might be? Based on x-ray examination are the physical properties of ionizing radiation to penetrate through the tissue of the human body, lingering in them in varying degrees. More dense bone tissue absorbs more intense x-rays, so the picture shows it lighter. Soft tissue hold bad radiation, so in the picture they are dark in color. 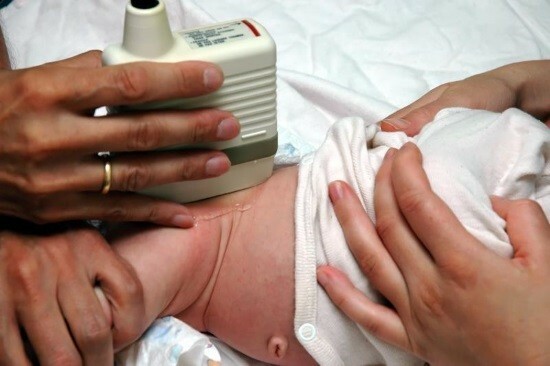 Infant radiography is carried out only to confirm the diagnosis, as a preventive inspection to assign to x-ray the child under one year is unacceptable. In that case, if there is an opportunity to survey using other, more secure methods (e.g., ultrasound), preference is given to them. In the process of childbirth often there are unforeseen situations in which the child having injuries of different nature. What birth injuries are the most frequent cause of referral of newborns for x-rays of the head and body. Children under one year are often carried out x-rays to diagnose hip dysplasia – pathology, consisting in hypoplasia and displacement of the head of the femur. Diagnosis of injuries after injury, including after a fall from a height (bed, changing table). Suspected pathology of the musculoskeletal system – rickets, osteoporosis, hip dysplasia. Diagnosis of intrauterine pneumonia that occurred before birth as a result of infection of the lungs in the womb. Girls are forbidden to irradiate the region of the reproductive organs, boys – the area of the testicles. 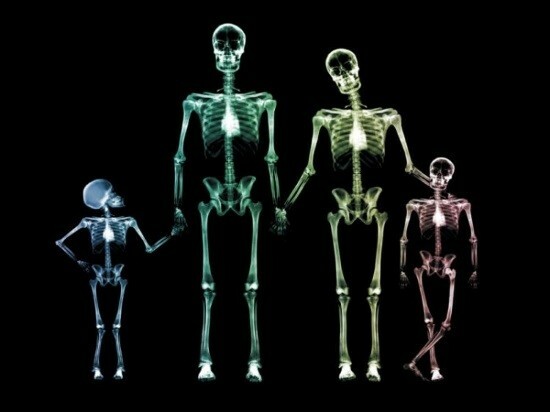 Infants undergo x-ray examination in the presence of a parent. It is important to comply with all the requirements of the medical staff to obtain a clear images the first time, because re-scanning is undesirable. The main condition for obtaining a good informative image is immobility. 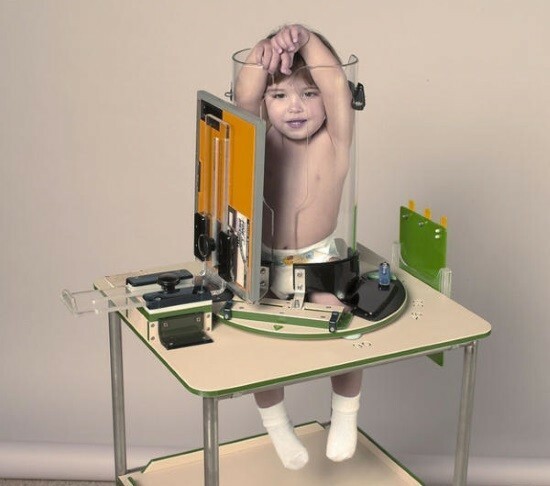 Since an infant is unable to execute the commands of the physician, it is placed in a special device that helps to keep baby in one position. In that case, if the survey is planned to carry out a puncture or other invasive and painful procedures that infants enter into a state of anesthesia. Immediately before scanning the child undress, exposing part of the body to be examined. The remaining clothing should not contain metallic decorations, locks and buttons, as this will affect the image quality. Areas of the body that are not being scanned, cover with a protective lead apron. The procedure itself is not time consuming. For capturing images in some cases, you need to wait for some time. X-rays have a high penetrating power. Passing through the tissue of the human body, the radioactive rays change the structure of atoms and molecules inside cells, and as a result may become different somatic diseases in humans or its future offspring (genetic disorders). To reduce the level of radiation exposure is possible during the examination of modern x-ray machines, which are sufficient short period of time to obtain clear images. In addition, there are devices with a digital recorder which allow to obtain high-quality images with minimum radiation dose load in a short time. Adverse effects of x-rays occurs in the case of long term exposure. When scanning on modern machines with a digital recorder radiation exposure is reduced in several times, so the likelihood of negative consequences is minimal. An alternative, more safe diagnostic method is ultrasound diagnosis, if possible it is better to give preference to her.